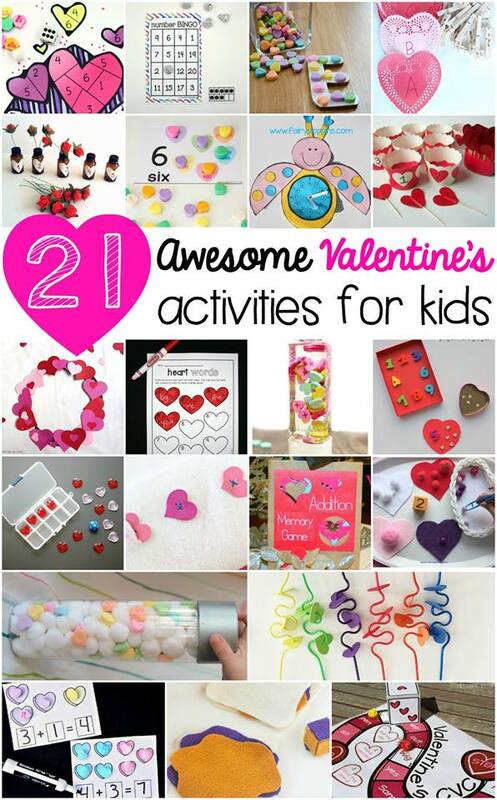 Well Valentine's Day is around the corner so I've been sharing Valentine's Day Activities for kids. 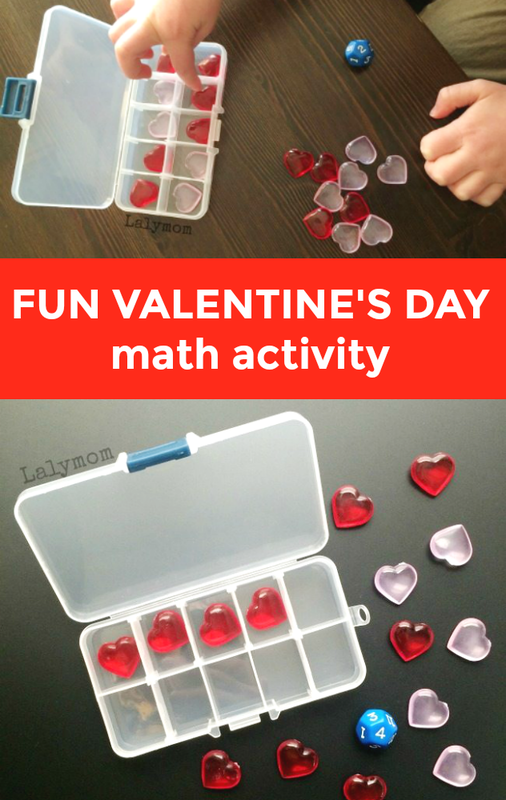 Today's idea is a Valentine Math Activity using our portable ten frame kit. This post is part of a Valentine's Day Activities blog hop, so stick around at the bottom for more cool ideas! Also, I've included some affiliate links for easy supply shopping. Like I mentioned in my LEGO Math Ten Frame Games post, we are going a little ten frame crazy around here. My daughter learned about ten frames in kindergarten and had to teach me about them! If you are new to the idea of ten frames too, you can read this description of Place Value and this article on using Ten Frames to Teach Number Sense. We continue to see ten frames being used in her school work and she really enjoys math related activities, so here we go with another ten frame activity. We put together this super simple, super portable Ten Frame Kit and the kids have asked to play it several times since the first time we did it. We used Heart Gems from Dollar Tree, as I mentioned, but they only have those on their website and in stores in the weeks leading up to Valentine's Day. If you don't see them on their website or in store, you could call your local craft store or check out Acrylic Hearts on Amazon. Either way be sure to let your kids know that they are not edible since they do look a bit like candy. 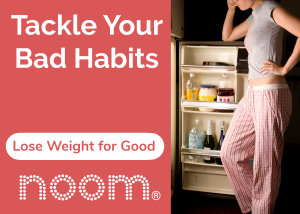 Alternately you COULD use candy hearts and let them eat them. Your choice! If neither is available, pom poms would also work great. We use a 12 sided game die from our Dice Bonanza set, with 11 and 12 representing Roll Again. 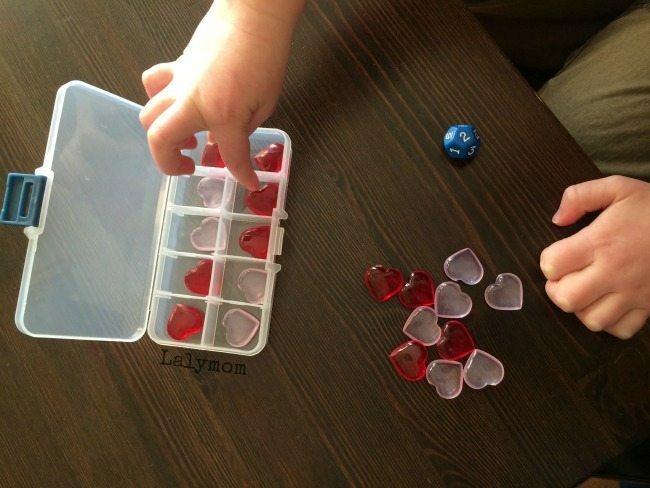 You could also use 10 Sided Dice or regular game dice and alter the rules for what you have. If you are using a deck of cards, sort out the Ace through 10 cards of the hearts suit. Shuffle them so they are not in order. If using a game die, just roll the die for your turn. -Draw one card or roll the die. 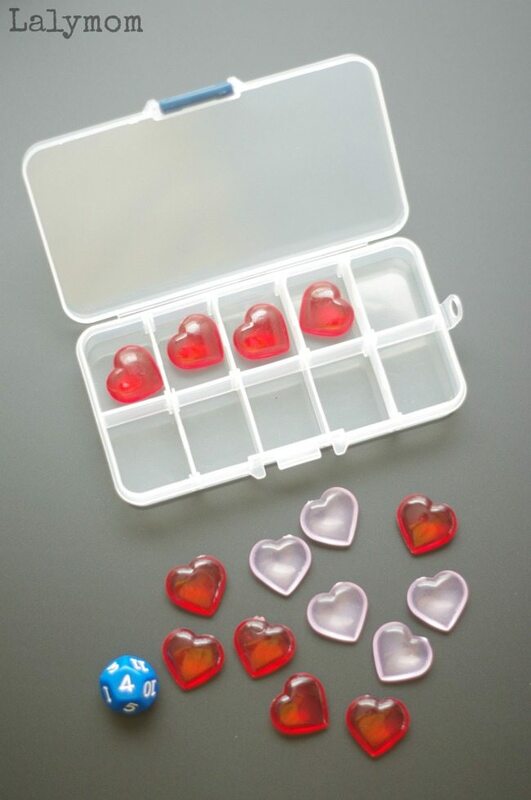 Add that many red hearts and then fill the rest of the slots to make ten, discuss how many you need to make 10. -Draw one card or roll the die. 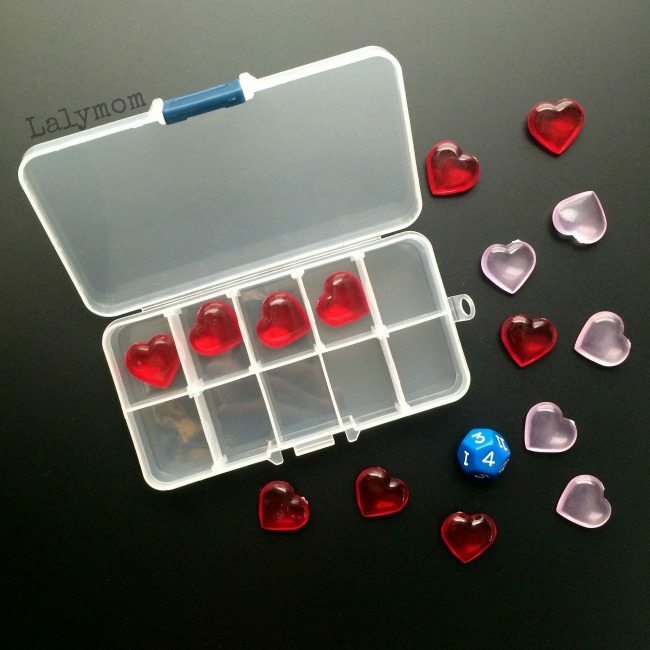 Take turns using the two colored heart gems to make all the different combinations that can be used to create the number on the card or the die. -Draw one card or roll the die. One player adds that many red hearts, the next player draws another card (or rolls!) and adds that number of pink hearts….discuss the total- was it more than ten, less than ten or exactly ten? What math activities would you do with this Valentine Math ten frame set?